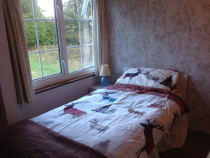 Situated in a peaceful location just over a mile outside Tobermory, we are a small family run bed and breakfast. The house is set in a beautiful large garden with surrounding woodland, full of small birds, which guests are welcome to explore. This is an ideal base for visiting Tobermory and all the other attractions Mull has to offer. You may also want try your hand at a bit of pottery in our workshop. Families and well behaved pets are welcome – we have our own dog. A twin/triple bedded/family room with small shower ensuite for 2 or 3 adults, or 2 adults and up to 2 children (one bed is on a raised platform accessed via ladder so suitable for 5 – 16 year olds). 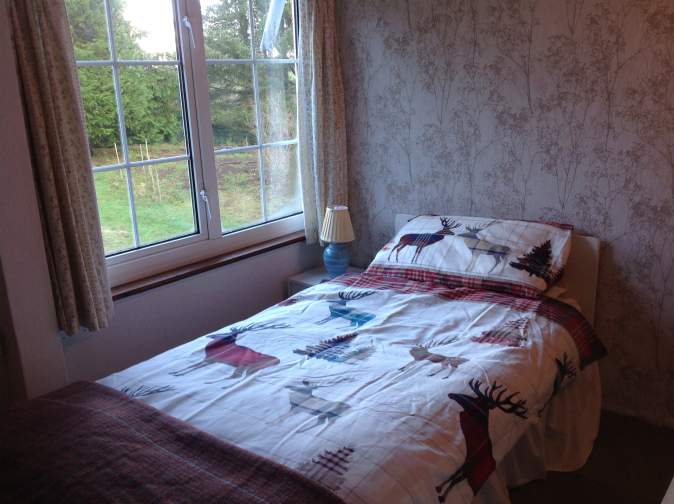 Price from £70 per night for 2 adults sharing. Children under 5 are free, children 5-16 years £10 per night each. Minimum stay 2 nights. A double bedded room, with separate shared shower room. 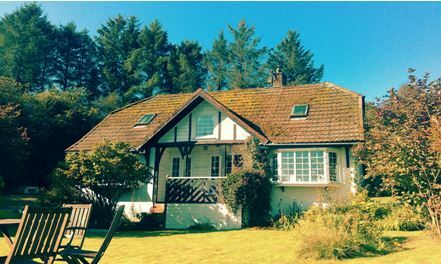 Price from £62 per night. Minimum stay 2 nights. A single bedded room, with wash hand basin and separate shared shower room. 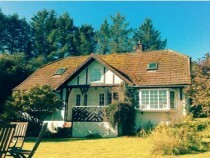 Price from £40 per night. Minimum stay 2 nights. Prices include full Scottish breakfast (special dietary requirements will be catered for). A 10% deposit is payable on booking, refundable up to 14 days prior to stay. Discounts will be offered for stays of 3 nights and more. 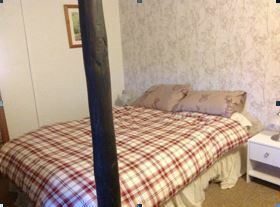 Guest accommodation is upstairs with exposed beams and coombed ceilings. All rooms have free sat tv, tea/coffee making facilities and free WiFi available There are books and games to borrow. The guest dining room overlooks the garden and has views over to Morven and our sun room provides a bright communal area. We also have ample free parking. Twin/family room from £70, children under 5 years are free, older children from £10. Minimum stay 2 nights. 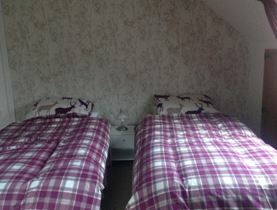 Double room from £62. Minimum stay 2 nights. Single room from £40. Minimum stay 2 nights.